Funko has just revealed their newest Pop! vinyl Star Wars figure, and ans of the Prequel Trilogy and The Clone Wars will definitely want to put this one on their wishlists! 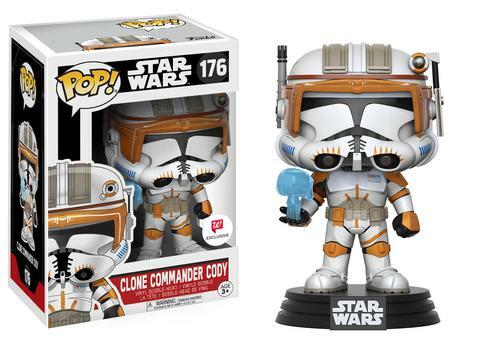 Today they announced that a Clone Commander Cody Pop! figure will be coming soon to Walgreens as an exclusive. The popular Clone Commander, who served under Jedi General Obi-Wan Kenobi during the Clone War, appears as he does in Revenge Of The Sith, complete with a miniature hologram of Darth Sidious in his palm, ready to execute Order 66. This collectible will be available in Walgreens stores everywhere starting in Mid-July.